ISO, the International Organization for Standardization, maintains strict guidelines for the control of documents pertaining to business operations. Any company attempting ISO certifications must demonstrate a verifiable method for using, updating, and storing documents pertaining to configuration control of the business. Any document used in the application of any ISO standard must be controlled by means of a quality management system (QMS) specific to the company. ISO defines a controlled document as one that meets these criteria, regardless of the standard applied. A controlled document may be stored electronically, on a disk, on paper, or as a photograph. 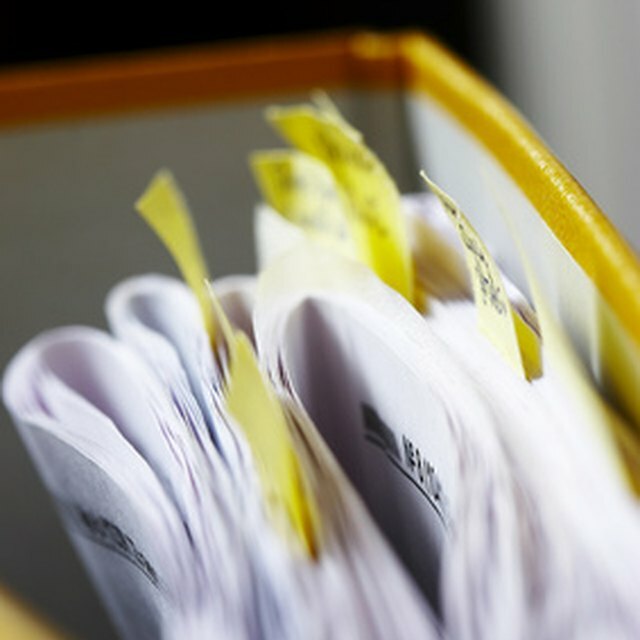 The QMS ensures each document’s integrity by adhering to specific rules for document use and storage. The extent of individual companies’ QMS will vary depending on company size, personnel competency, and complexity of the business. Typically, an ISO standard will have four levels of document structure: policy, procedure, work instruction, and forms and records. Each level is designed for a specific area and applied through all levels of the organization. Each type of document can be applied in virtually any business. A writer since 2007, Chandra Anderson has been published in "Boating Obsession," and on Gather.com and Poetry.com. Her online content appears on various websites, where she specializes in a wide range of topics including personal finance, boating and animal behavior.